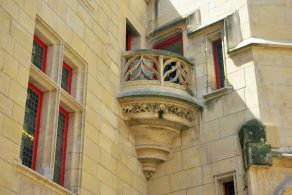 When I organised walking tours in the Marais district, I always made sure to reveal the Sens Hotel to my clients. 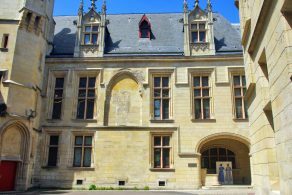 The medieval mansion is located in rue du Figuier and is slightly set back from the Quai des Célestins which borders the River Seine. 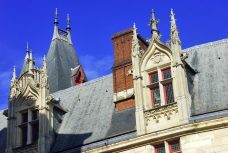 With its Gothic and early Renaissance features, the Hôtel de Sens looks like a small château of the Loire. Let’s have a closer look at it! What is Sens you might ask? Or should we say where is Sens? Sens is a little town in Burgundy 120 kms South-East from Paris. 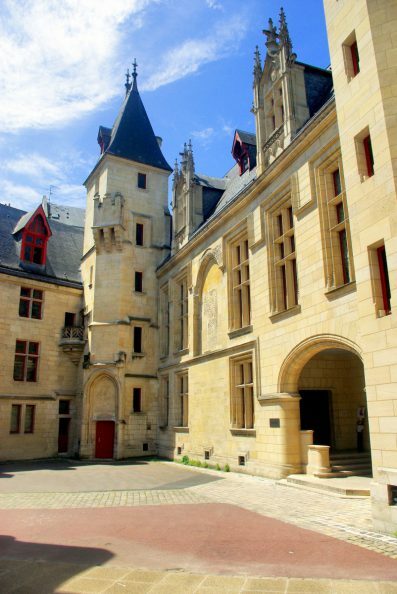 It is home to one of the earliest Gothic cathedrals built in the 12th century in France. 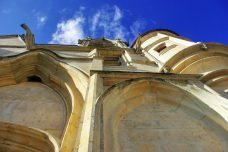 During the Middle-Ages, Sens was an important religious place. Its archbishops hold the prestigious title of “Primate of Gaul and Germany“. 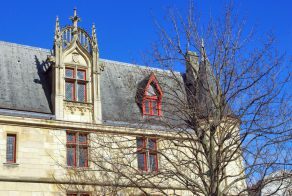 They ruled over a very large territory covering the dioceses of Auxerre, Nevers, Troyes, Orléans, Chartres, Meaux and most notably Paris. 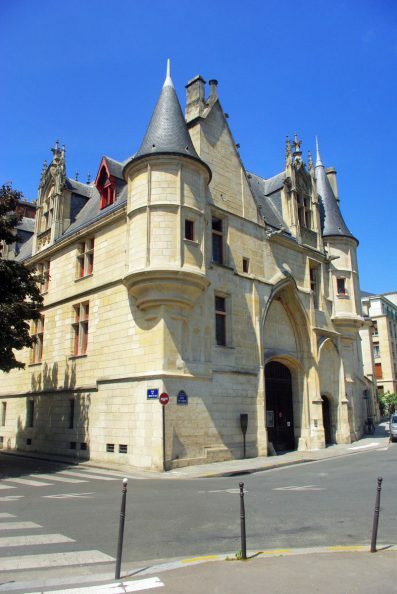 When the Sens archbishops travelled to the French capital, they resided in a private mansion they had built in the Marais district: the Sens Hotel (or in French: Hôtel des archevêques de Sens). Archbishop Tristan de Salazar had it built between 1475 and 1507. 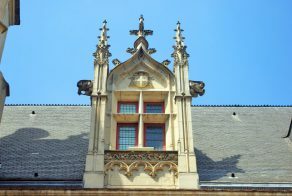 The new mansion combined late-medieval civil architectural features with the first manifestations of the Renaissance. 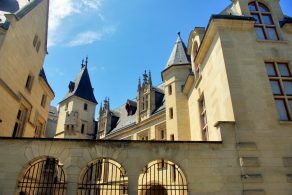 No wonder it looks like a château of the Loire! 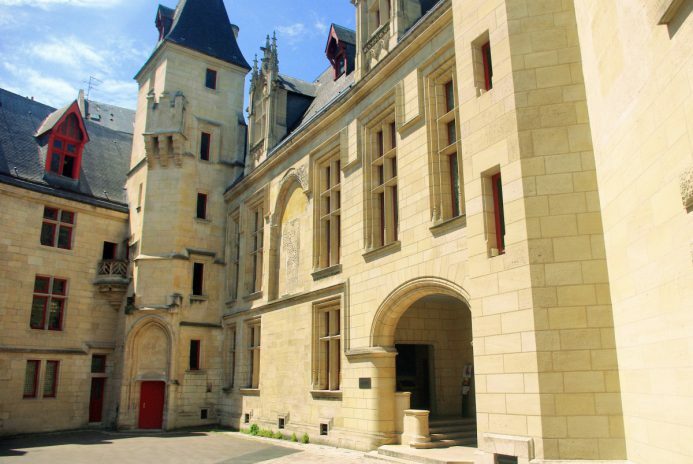 The layout of the Sens Hotel comprises a corps de logis, an entrance courtyard and a garden. The lanceted gateway is topped with a tympanum which once contains the coat of arms of the Sens archbishops (they have been destroyed during the French Revolution). 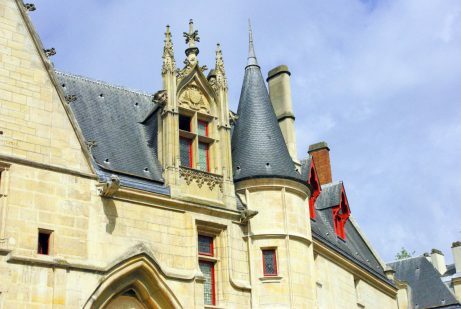 The manoir with its fortress-like appearance reflects the prominence of the archbishop’s rank and influence. 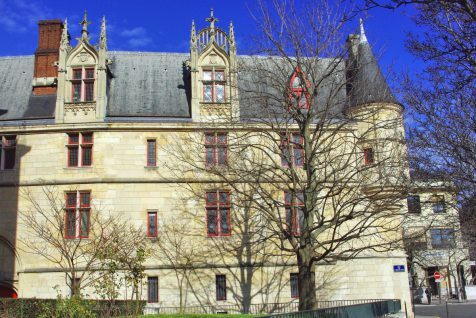 To this date, it is one of the finest medieval residences in Paris along with the Cluny Hotel. 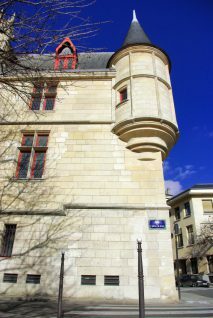 The Sens Hotel was the meeting place for the Council of Sens (or Council of Paris) which opened on the 3rd February 1528 and ended 8 months later. It condemned the doctrine of Martin Luther. 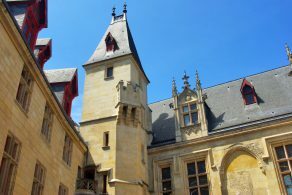 The mansion welcomed Margaret of Valois (commonly known as Queen Margot) whose marriage with Henry III of Navarre (later king Henry IV) was annulled in 1599 by decision of the Pope. In 1622 Paris was elevated to archdiocese and the Sens archbishops lost a great part of their influence. They spent less and less time in their Parisian home. Consequently they ended up renting their residence. The Sens Hotel was confiscated at the French Revolution. Sold in 1797, it was then occupied by successive tenants, many of them being shops, workshops or factories. The City of Paris bought the Sens Hotel in 1911 and restored it in the 1930s. It became home to the Forney art library in 1961. The library is specialised in decorative arts (textile and graphic art) with a collection including 230,000 prints and 48,000 museum catalogues. The formal garden of the Sens Hotel is now a public garden. It is a very pleasant place to rest when walking in Paris. Although small in size, it is ornate with low trimmed box hedges framing flowerbeds. Access is from rue des Nonnains d’Hyères. Find out more about the Sens Hotel on Wikipedia.